AnaBio Technologies LTD, an Irish food ingredient company has developed a novel “clean-label” micro-encapsulation probiotic brand, known as EnCaptimus™. Using only high quality, natural raw materials, such as dairy or vegetable proteins, micro-capsules laden with high levels of probiotics can be generated in a reproducible way for market and regulatory compliance. At AnaBio, we welcome the opportunity to serve your micro-encapsulation needs by using our EnCaptimus™ technology to protect and stabilise probiotics in a range of products. EnCaptimus™ acts as a barrier to the outside world, keeping friendly probiotic bacteria safe against heat, pressure, oxygen, light and various environmental stresses such as acid or alkaline conditions. When our micro-capsules reach their target site in the body, they gently release probiotics in a natural way, according to normal digestion processes and this helps probiotics to provide their benefit to mammals for better health and well-being. AnaBio’s EnCaptimus™ technology ensures that probiotic bacteria incorporated into infant formula, survive the production process, heating of the baby bottle and subsequently arrive alive in sufficient numbers to colonise the intestine and ensure the infant develops a healthy microbiome (per WHO directive 2007). Various processes suffer from probiotic losses due the production of biproducts and heat that compromise the quality of the probiotic bacteria and finished product. Hence, EnCaptimus™ can enhance process yield to avoid any unnecessary losses and the need to overdose to compensate. Some ingredients, by nature are not compatible and thus cannot be delivered together in the same product. This is true for probiotic and iron, and probiotic and antioxidants, for example. EnCaptimus™ can separate/ partition probiotic from other formulation ingredients, within the capsule and allow of the stabilisation of the final product in addition to ingredient delivery to the specific body targets for health benefits i.e. iron and probiotics have detrimental effects on one another in dietary supplements and infant formula. Companies manufacturing probiotic products are seeking to replace synthetic encapsulation materials with natural ones, such as proteins. These companies represent a strategic customer base for AnaBio since they are key enablers for the replacement of existing synthetic-based encapsulation technologies. In infant formula, this is also a key criteria since the ingredient listing are very strict for this catefory. EnCaptimus™ utilises the proteins already present in infant formula as the encapsulation agent for probiotics. Hence, the label declaration does not need to be modified when EnCaptimus™ is fortified into the product. Due to the instability of ingredient such probiotics, the shelf-life of many infant formulas are compromised due to cell losses over time. This represents a disadvantage for industry since retailers exercise pressure to deliver longer shelf-lives. Through encapsulation, probiotics are stabilised against oxidation in order to prolong their life in the final infant formula. Hence, the quality and value of EnCaptimus™ will help global distribution to manufacturer compliant and stable infant formula without the need for overdose. In industry, functional foods in particular, products are saturated with a specific ingredient to compromise of the losses expressed during processing or storage. This is true for probiotics where by 100 billion cells are mixed into a product in order to achieve final cell counts of 10 million after processing. This overload has fast become standard practice in industry due to the fact that regulation require specific product features i.e. cell counts at the time of consumption. EnCaptimus™ has the ability to safeguard ingredients i.e. probiotics against heat losses and allows for more efficient dosing. This results in a saving for the manufacturer. The modern day parent is seeking more and more benefits from their infant formula product and hence, this puts more pressure on the manufacturer to generate novel ingredient functions. Bio active ingredients are shown to have a health benefit; however, they need to reach a specific place in the body to elicit an effect. EnCaptimus™ acts like a chaperone to target probiotic bacteria to the systemic target to enable successful delivery in the human body. Micro-encapsulation is a novel, innovative, natural method that can be used to protect bacteria from the stresses of the world, specifically associated with production, storage and consumption. Micro-encapsulation is a process that surrounds a liquid, solid or a gas with a protective membrane. This provides a protective shield to ensure optimum utilisation of valuable ingredients. It can be used to produce tiny capsules, that require a microscope to visualise, containing living probiotics that can be included in food products without impacting product quality, taste or texture. What are probiotics and their benefits? Probiotics can be administered as a dietary supplement in the form of a pill or powder and can be incorporated into food products to increase their health benefits. Many probiotic products are refrigerated to keep the product alive. The sensitive and volatile nature of probiotic is the key factor responsible for this limited range of delivery formats and need for refrigerated storage. As probiotics must be alive and viable in sufficient numbers, their incorporation into food products is restricted, dependent on processing and shelf-life requirements of the final food product. Unfortunately, many manufacturing processes used in the food industry drastically affect the survival of these probiotics. Drying, heat and storage can lead to massive losses in the levels of living friendly bacteria. The stomach is a major hurdle to the successful delivery of probiotic bacteria, it is a very harsh acidic environment and is one of the bodies key defence mechanisms. It performs an important function, protecting the body from outside invaders however it also has a drastic effect on the survival of probiotic bacteria. What does EnCaptimus™ protect against? 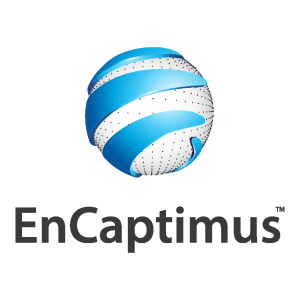 What ingredient benefits does EnCaptimus™ provide for the end customer ?